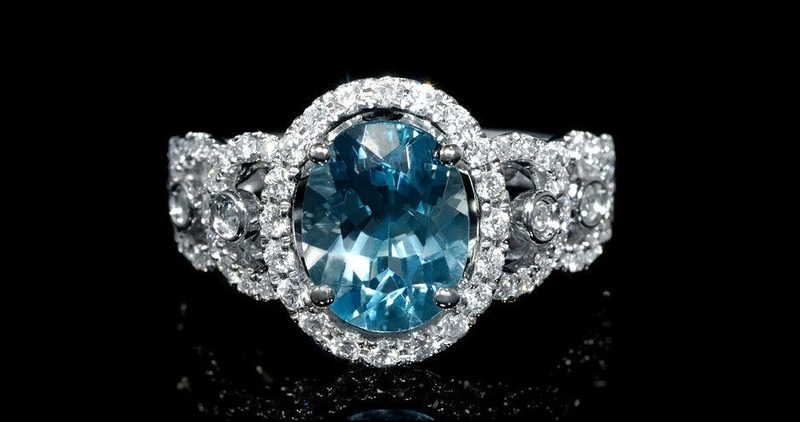 This is a handcrafted 18k white gold aquamarine and diamond ring. 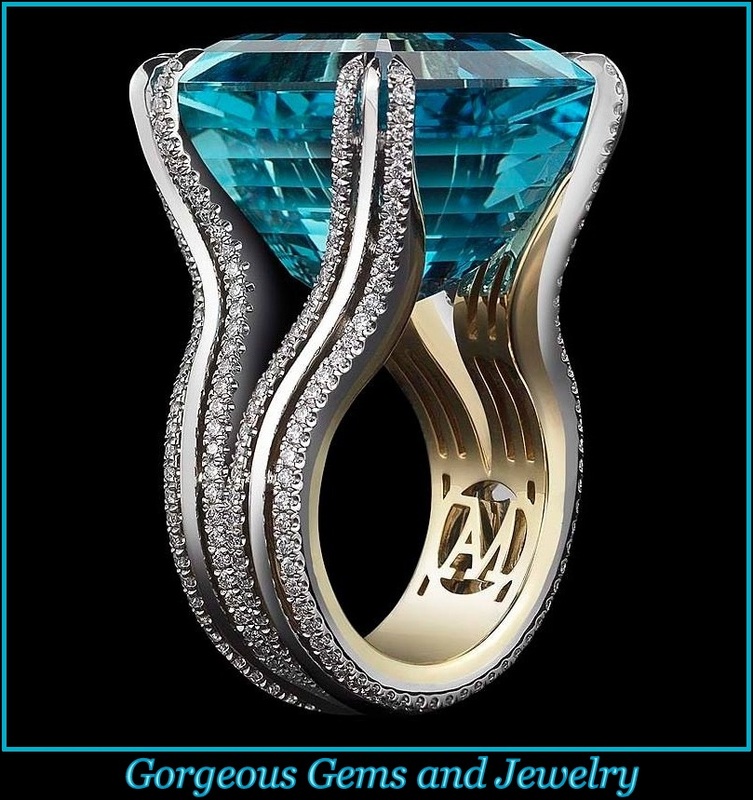 This elegant ring features one oval cut aquamarine stone, of excellent cut and brilliance weighing 1.90 carats total, with 76 round brilliant cut micro pave set diamonds, weighing .62 carat total of F color, VS2 clarity. 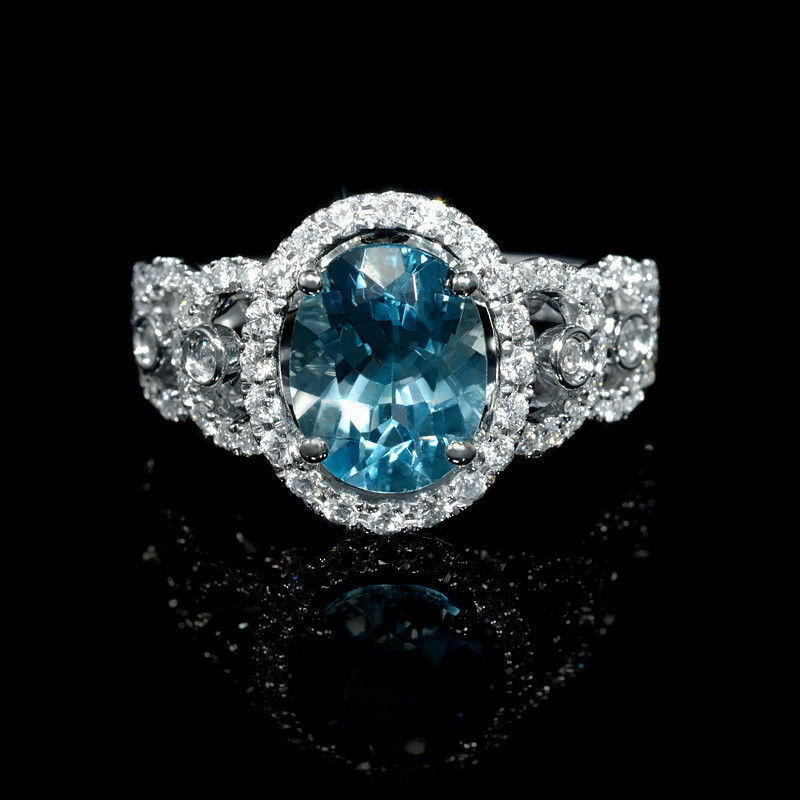 The eye soothing aquamarine is perfectly accented by the beautifully set diamonds, creating a look unlike any aquamarine ring you’ve seen before.